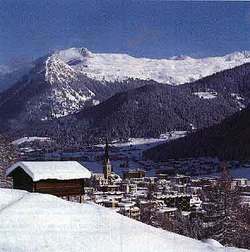 Things are good in Davos at the 2006 World Economic Forum. Mark Vamos of Fast Company reports on the wines served at the party hosted by Google. Like you'd never guess, they won't be appearing on our under $10 list. It is amazing what a billion mouse clicks will buy. A primary mission of Mano a Vino is the promotion of women in wine. Also take a look at our Wine by Women section, coming soon articles on Susan Sokol Blosser, Christine Hanna, Beth Nickel, Rosemary Cakebread and Kimberlee Nicholls. Shopper's Vineyard is a great liquor and wine store in Clifton, off the Allwood Road circle on Bloomfield Avenue, a little north of the Home Depot. I read in Montclair Watercooler that a favorite restaurant of ours in Montclair, Deja Vu, had a new name, Sri Thai. We wanted to see what changed so we stopped by Friday night. We had a nice dinner, with some exceptions, and enjoyed an excellent Riesling thanks to Diana and a very good Silvaner. Unfortunately this restaurant is closed, in Montclair you can try Tuptim Thai. Seems like we are always driving in NJ, never know when you might need to stop for a bottle of vino. Here's a handy guide of some of the better places to try. Welcome to a new segment of Mano a Vino, our Trip to Series. 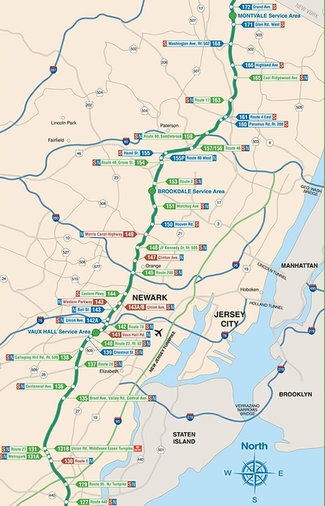 In this area we will present food recipes, wines, films and more that will take you to another part of the world with out leaving New Jersey. 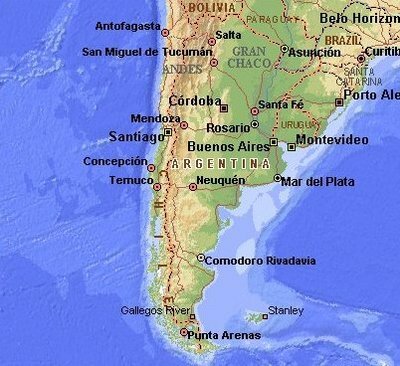 The first in the series is a Trip to Argentina. We have always loved the interesting wines of Argentina, not just because they are a bargain but because they are so good. The food and culture of Argentina is equally interesting. Let us help you explore. Coming Next Month - A Trip to Sicily. 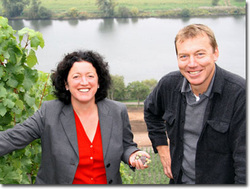 Sybille Kuntz and Markus Kuntz-Riedlin of the Mosel region in Germany are leading a Riesling renaissance. The husband and wife team both came from winemaking families. Their Sybille Kuntz Estate is less than 20 years old. In that time their dry and refined wines and stylish modern image have already made a splash on the international wine scene. Sybil Kuntz produces great wines that go very well with Asian food. We've tried her Riesling Gold Quadrat Trocken and Riesling Dreisdern Spatlese. Please don't ask me to translate just give them a try. The answer to this question is now. Well not literally of course. I usually wait for dinner to enjoy the first sip of the day. Rather the question relates to aging. And again the answer usually is, now. The economies and dynamics of the wine world compel producers to create wines that are ready to drink when they arrive on the shelves of your favorite wine shop. 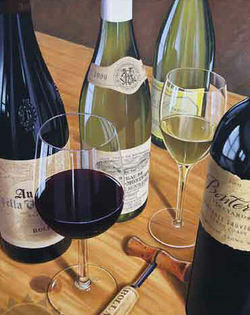 Unfortunately, not all wine stores can be counted on to remove wines that are past their prime. And keeping a wine too long before opening can lead to disapointment as well. I had an experience like that today.